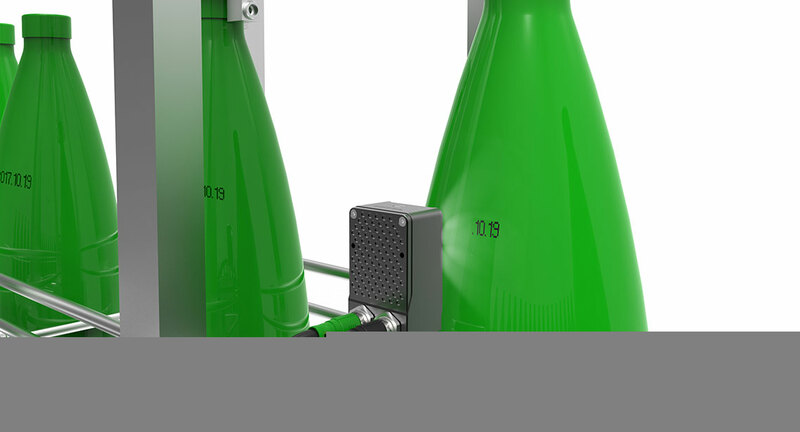 Vision sensors are used to identify the presence of expiration date printing on packages on beverage packaging lines. The VG series (color type) vision sensors utilize images captured by the integrated industrial camera lenses to determine the target object's presence, color, size, shape, orientation, patterns and more. The integrated design featuring LED lighting, camera and lens allows users to set up and manage the units more easily compared to vision systems. 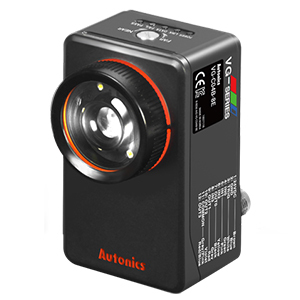 The camera also utilizes global shutter method to capture accurate images, and the sensors feature 12 essential inspection functions for diverse applications. The captured images can also be saved directly to FTP servers, so that users can manage and analyze the inspection data separately.